Massive pecs, huge arms, steely abs, and a winning smile: This young, handsome guy has built pretty much ripped muscle. Tyler Anthony is a competitive fitness model with hopes of one day becoming well known in the world of modeling and fitness. He's a college student, personal trainer and recently began dabbling with modeling. He is both reserved and outgoing and usually takes things in stride. In his early years Tyler trained to be a gymnast and so he's quite acrobatic and flexible. His hobbies include hanging out with friends, weight lifting and traveling. You find many high quality photos and videos of Tyler Anthony here on AllAmericanGuys. A ripped body can be built without a gym. 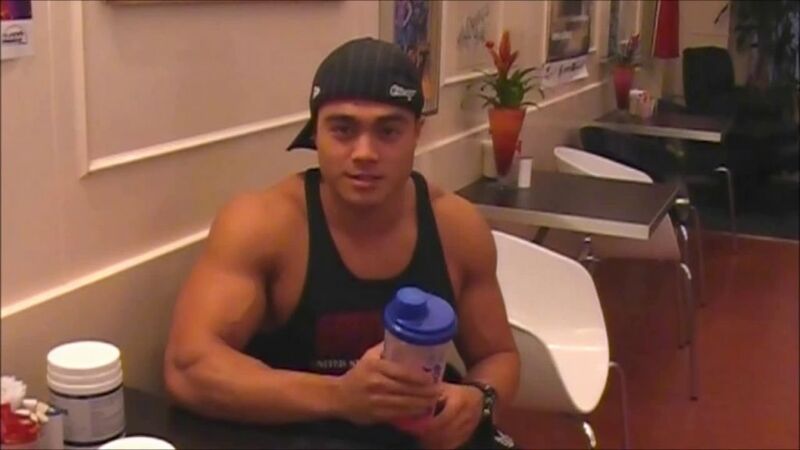 Powerlifter and bodybuilder Tuan Tran shows it, and demonstrates in this video his comprehensive routine for sculpted arms and shoulders at home: warm up, chin ups, band curls, band shoulder presses, band overhead extensions, one arm push ups, and finally cool down. Stunningly ripped and pretty cool: Josh Ohl seems to be pleased with the result of his intensive workout. The very popular fitness model shows off his imposing shape for new high quality photos and videos here on AllAmericanGuys. The Pectoral Pride Workout is available on GregPlitt.com. The GregPlitt.com Members Section contains 155 videos, including 45 instructional workout videos, and is updated weekly, $9.95 a month for full access. He has put on some serious muscle and has built maximum definition at the same time. Handsome fitness model Rafael shows off the stunning result of his intensive workout for many high quality photos and videos here on AllAmericanGuys. He loves to hit the gym, the harder the better, and the effect of his intensive training is evident. Jan Safar, the new model of CzechYoungMuscle, has built an impressively ripped, lean body. The 21 year old student is a passionate athlete, loves to do sports and has been working out for two years. 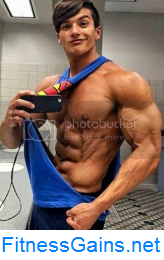 Bodybuilding has become his big passion: He enjoys feeling the pump after lifting heavy weights, and his progress makes him proud and satisfied. "That keeps pushing me ahead", Jan says euphorically. The young bodybuilder has set his sights high, and wants to compete and to do more professional fitness modeling. You find many high quality photos and videos of Jan Safar here on CzechYoungMuscle. A winning smile and a winning physique: Rico van Huizen enjoys working out, he enjoys building muscle, he enjoys triumphing on stage. The 20 year old Dutch athlete is a passionate natural bodybuilder who took the Junior Bodybuilding title at the MuscleMania finals in September. In video 1 Rico talks about his background in competition, his reasons for staying natural, and his ambitions for the future. 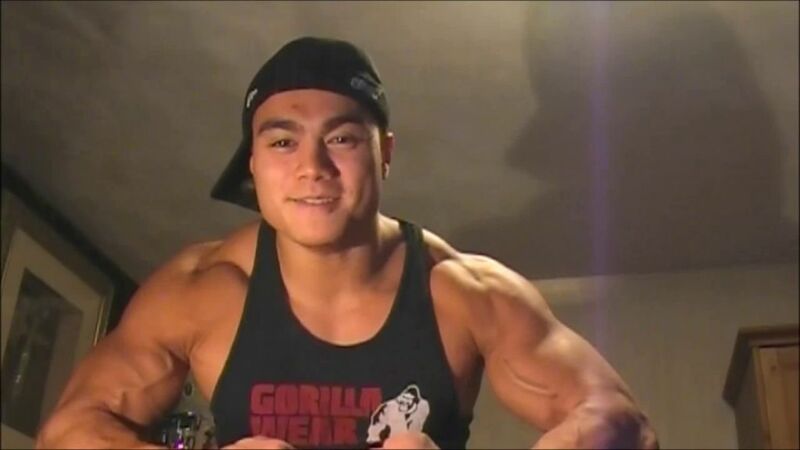 Video 2 features Rico's trip to the Musclemania Britain and European Championships in St. Albans, and shows him training his arms, traveling, and posing. In video 3 Rico talks about his suppplements and demonstrates his shoulder workout. Hard workout, proper nutrition, intensive cardio training: Young Czech bodybuilder Ales Zelinka goes all-out to perfect his shape for competing again after a break of four years. His progress is evident: more muscle, more definition, more symmetry. And Ales has already succeeded: place one at the international bodybuilding contest "Prague Cup" (category 80 kg). Now he prepares for his next competitions. 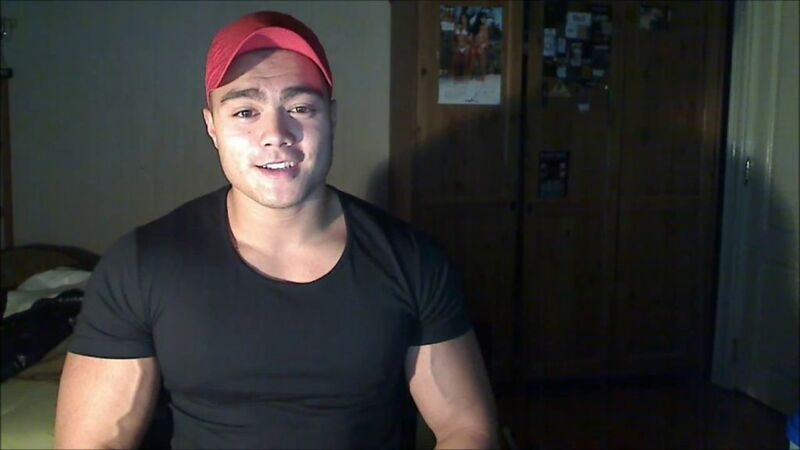 Ales' training and development is recorded by 15 new high quality galleries and 9 videos on CzechYoungMuscle. You find Ales Zelinka's new high quality galleries and videos here on CzechYoungMuscle. If you want to challenge him, be aware that this young man is a successful wrestler and pretty strong. Fitness model Clayton is well-toned to the max, and shows off his stunningly ripped physique for many high quality photos and videos here on AllAmericanGuys. The blond bodybuilder is euphoric when flexing, and proudly smiles when looking at his pumped muscles. Brock Cunico's massive, well-defined upper body is the result of an intense and comprehensive routine which he demonstrates in these seven Strengthnet.com videos.